Some reform caucus members were among those observing the House Rules committee. Photo by Tessa Roy, WPRO News. Reform caucus members of the House didn’t get all the changes they wanted to the House rules and say there’s more to be done, but were still happy to see the addition of a requirement that bill amendments be posted publicly 24 hours before any votes. “We asked for 48 hours knowing that it was a reach, but you know how you negotiate, you always settle for 24 hours. We are thrilled and we thank the House Rules Committee and the Speaker for recognizing that the public has a right to know what’s in a bill and legislators need to be able to read that,” said Representative Deborah Ruggiero. The amended rules bill passed the Rules Committee Thursday night, with only Republicans voting no. Committee Chairman Arthur Corvese said he’s satisfied with this year’s rules, saying they’re even better than last year’s. He acknowledged more public support for changes, but said that wasn’t the biggest factor in making them. 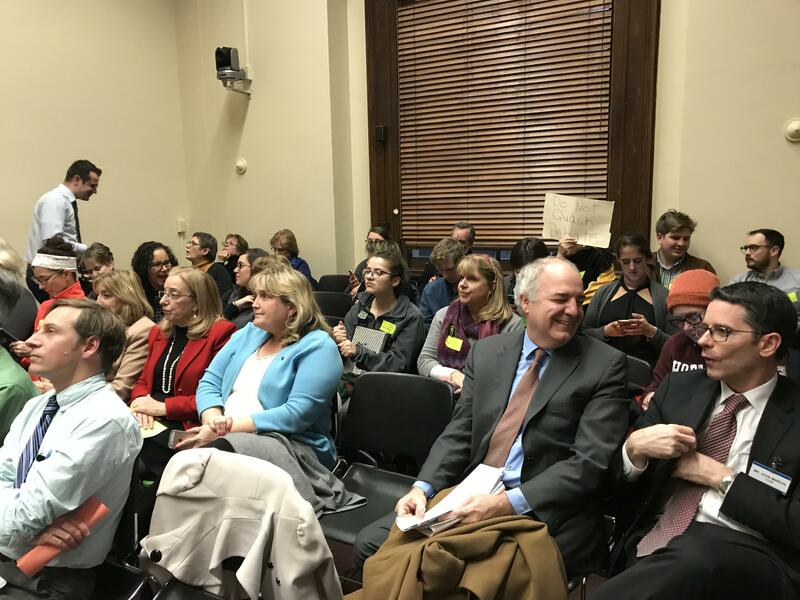 “The fact that 50 people showed up and were concerned about the bills doesn’t necessarily mean there were not a lot of people out there who are not concerned with the rules or found the rules to be adequate,” he said. Changes were also made to sexual harassment policies, including the creation of an office to investigate harassment claims and the elimination of a “gag rule” many felt prevented victims from speaking up. The revised rules bill is expected to go before the full House next week.